Credit union reinvestment in its downtown roots would enhance member advocacy; attract and retain workforce; and boost community priorities. DUBUQUE, Iowa—Dupaco Community Credit Union will take another step in its exhaustive two-year search for a new operations center location to meet its rapidly growing number of members and employees: Its board of directors said the credit union is finalizing its due-diligence process to acquire and revitalize a vacant manufacturing building in Dubuque’s resurging Historic Millwork District. The potential adaptive redevelopment of the building known as “Voices” at the corner of 10th and Jackson Streets, could include office, education, and entertainment space in the 174,670 square-foot, five-story building. As part of the process, the Dubuque City Council will consider terms of a development agreement with the credit union. Meanwhile, Dupaco will continue its architectural, programming, and financial analysis of the property, according to Dupaco President/CEO Joe Hearn. Hearn said federal, state, and local historic and economic development incentives could reduce the estimated overall project cost of $37 million to around $24 million. If the project proceeds, Dupaco potentially would occupy the building’s top three floors by late 2020, according to Hearn. In addition to credit union operations, he said the building’s first and second floors could feature a mix of retail, entertainment, and community space. 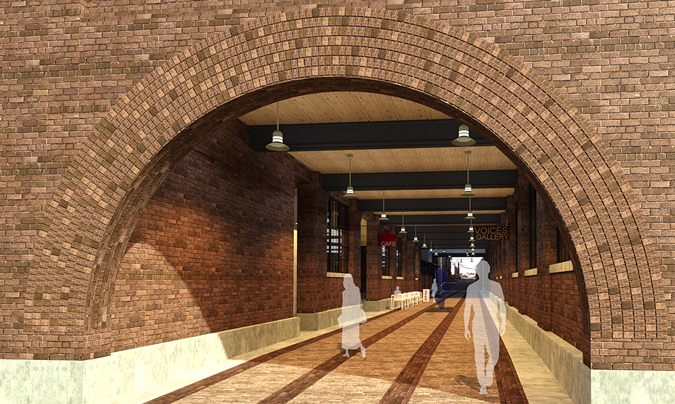 Plans include a public walkway through the building that would connect 11th and 10th Streets, and align with the Caradco Courtyard’s access to 9th Street. 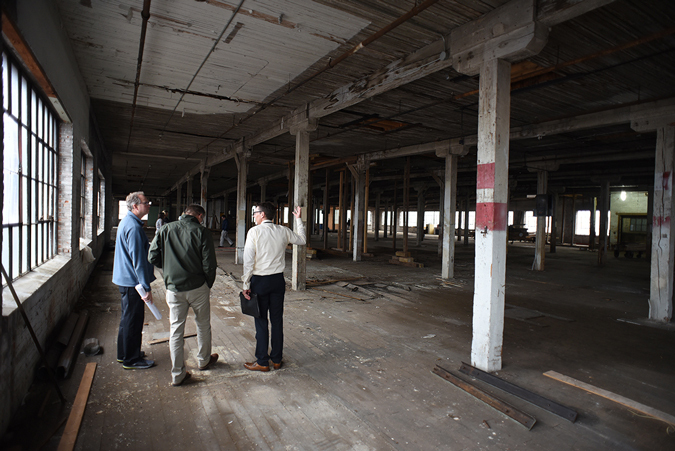 “Beyond giving new life to a tired community treasure, we want the building’s use to best align with other community priorities,” said Hearn, who serves on the boards of Greater Dubuque Development Corp., Dubuque’s True North, and Steeple Square. Dupaco Board Chairman Bob Wethal said the Voices building is rooted in the downtown neighborhood where the credit union was founded in 1948 by employees of the Dubuque Packing Company. Wethal said the Dupaco board and senior staff conducted an extensive and thorough evaluation of many options, which included buying existing buildings and new construction on Dubuque’s west and south sides. According to Wethal, those factors included total member value, community impact, employee experience, future workforce, and cost. The 174,670 square-foot, five-story structure located at 1000 Jackson Street originally was built in 1924 as part of the Carr, Ryder & Adams Manufacturing Company. 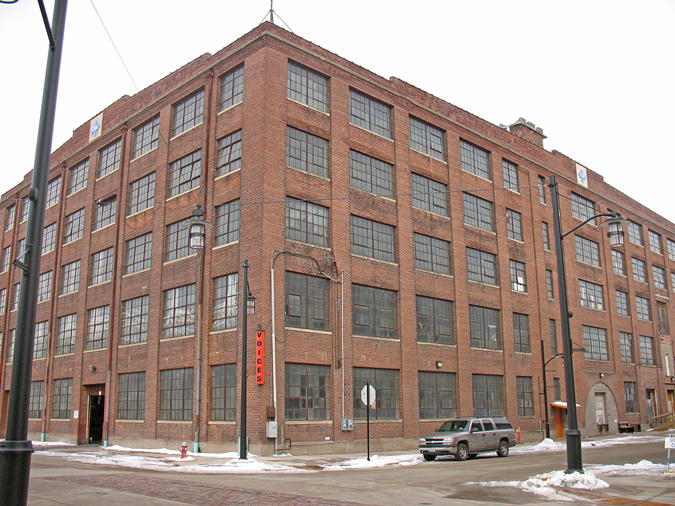 Dubuque’s Millwork District was the largest makers of windows, doors, and cabinetry in the United States. The building hosted the Voices from the Warehouse District arts festival which ran from 2004-2016 and helped spark the Historic Millwork District’s renaissance. "Because of tremendous member participation, we’ve outgrown our current facilities," said Hearn. "A new space will allow us the space to be able to collaborate, innovate, and grow with our members." During the last six years, Dupaco has grown from serving 64,000 members to more than 113,000 living throughout all 50 states and 17 countries. To successfully serve these members, the number of credit union employees has also increased, though at a much slower pace. Dupaco currently employs nearly 486 full- and part-time people throughout its service area of Iowa, southwest Wisconsin and northwest Illinois. During the last five years, Dupaco has added 151 new positions. Growth in both employment and membership prompted the credit union to recently lease space in the Port of Dubuque. “New members from our local service area continue to join Dupaco, while technology allows existing members to stay connected to their credit union—even when they move away,” said Hearn. The new location will allow staff to increase their community involvement—a key employee retention and recruitment attribute for Dupaco, according to Hearn. He said credit union staff already are involved in initiatives such as Housing Education and Rehabilitation Training (HEART), Restoration Academy, Opening Doors, Steeple Square, True North, Fountain of Youth, and St. Mark Youth Enrichment. 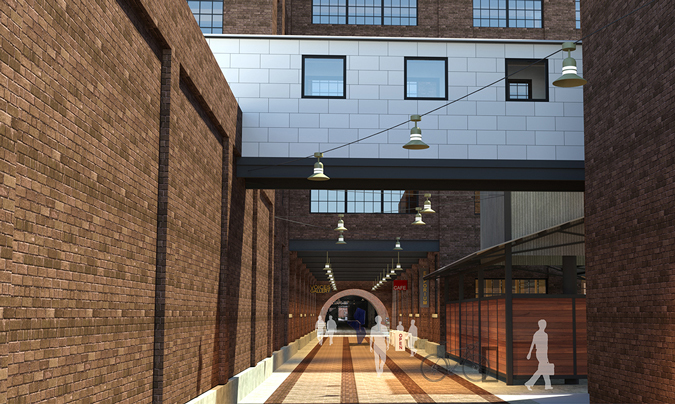 “As an employer of choice, the Millwork location also is attractive to people who desire walkability, access to restaurants, entertainment, and affordable housing,” Hearn added. The credit union’s board wanted to align with community efforts to remain globally competitive, according to Hearn, who noted—along with the Mississippi River—historic buildings like Voices are an indelible part of Dubuque’s brand. As part of its move, Dupaco also will launch an innovative approach to how employees get to and from work: It will provide employees a monthly transportation allowance, and who are free to choose whatever mode works best. The allowance provides a monetary incentive to pursue alternatives or pay for surface automobile parking. “The credit union felt its employees are entrusted to help members make good money decisions, so why not let employees determine how best to use their monthly allowance in getting to and from work,” said Hearn.